RENO, NV MARCH 30, 2011 Torchmate Racing will be in full force at the opening round of the W.E. Rock Nationals this weekend in Tucson, AZ with Jesse Haines competing in the Unlimited Class and Roger Norman competing in the ProMod Class. Also on the track this weekend will be Torchmate Racing Rusty Bray at the TREC series and five-year-old Gwen Garwood in a Sprint Kid Kart. Jesse Haines bought his winning Unlimited Class buggy back and is excited to be competing in the Unlimited Class this year. “Not many people know, but I sold my Pro Mod and will be running the Unlimited Class again,” said Haines. JT Taylor will be spotting for Haines. 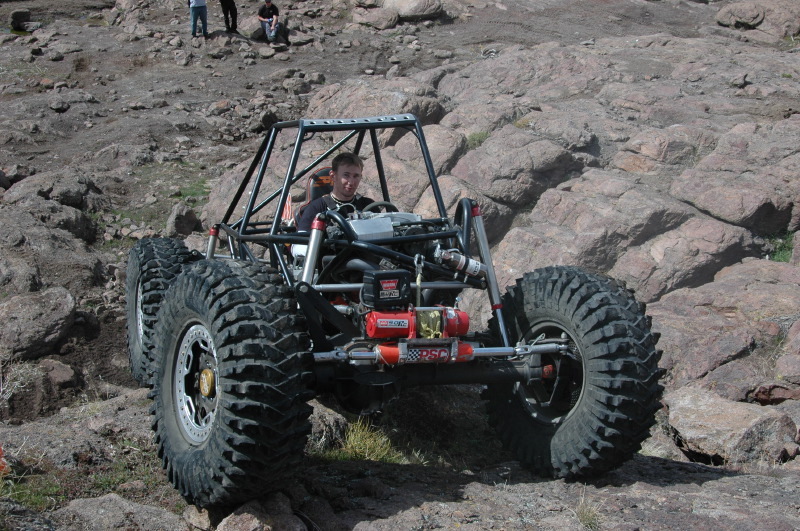 He has won an astounding twelve rock crawling competitions from Pennsylvania to California, a series championship, and had dozens of podium finishes. Between competitions, Haines has built numerous championship-winning vehicles for both himself and other competitors. 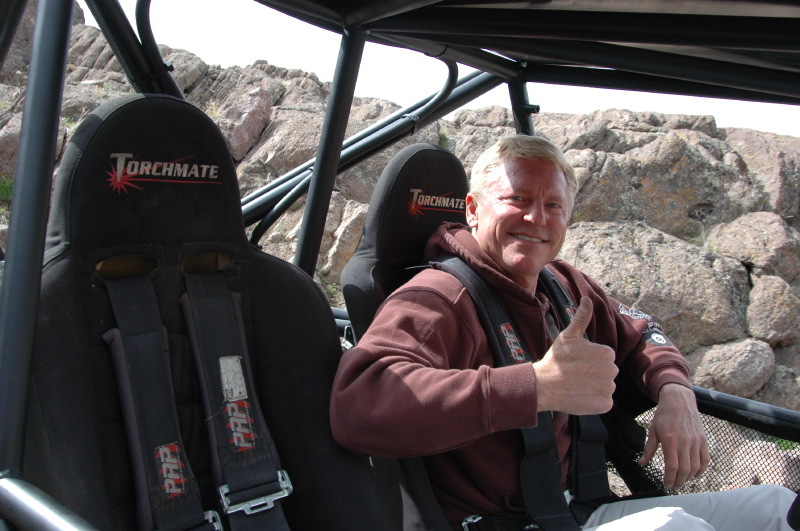 Roger Norman will be competing in his first ever rock crawling event this weekend in the Torchmate Racing Pro Mod car. Normally the pilot of the #8 Crystal Bay Casino winning Trophy Truck, Roger Norman will experience the slow and technical side of rock crawling. “Communication is the key. It’s all about listening and doing exactly what the spotter says. It’s like having a puppet master,” said Norman after practicing in Reno, Nevada earlier in the week. “I have been on Fordyce and the Rubicon Trail before, but never as a driver, just as a passenger,” comments Norman about his previous experience. “I am ready and excited to compete this weekend!” Mike Shaffer will be spotting for Normans premier appearance. Also on the track this weekend will be Torchmate Racing’s Rusty Bray racing his Ultra4 car in the TREC Series at the Badlands Off Road Park in Attica, IN. Bray recently finished the King of the Hammers 45th after qualifying through the Last Chance Qualifier. The TREC series offers a 12+ mile course that has been designed around speed and endurance, not necessarily the difficulty of an obstacle including rocks, hills, mud and sand. Gwen Garwood will be piloting the Torchmate Racing’s Sprint Kid Kart at the Crossover Series in Dixon, CA this weekend. At 5 years of age, Gwen Garwood is the youngest member of the Torchmate Racing team and is going to go for the All-Star Karting Championship at the Prairie City Kart Track in Sacramento in her Sprint Kid Kart this year. Track the success of each of the racers over the weekend on Torchmate Racings Facebook page, and then check www.TorchmateRacing.com next week for their full event recaps.